Our annual survey has just released with exceptional data you shouldn’t be working without. It’s a tool you must have to accurately tie pay to performance. 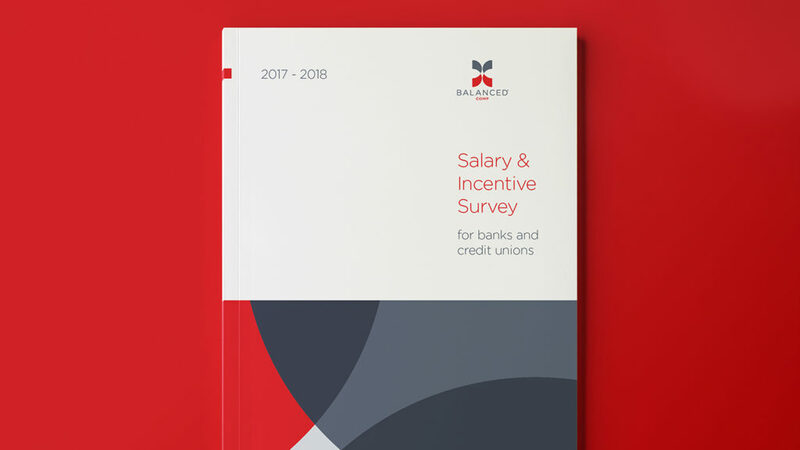 Our sole focus is the banking and credit union industry, where we work closely with more than 200 clients across the country to optimize their salary ranges. We know this business, and our 2017-18 Salary Survey gives us the data to help you make informed, competitive decisions in the year ahead. The survey, completed during the summer of 2017, drew twice as many respondents as last year! These 431 participants helped benchmark 114 of the most common positions at banks and credit unions. We then break down their responses by industry, asset size, and even geography. The data is also broken down by bank, credit unions, and a cross-section of the two compiled; you won’t find this data in any other survey. Download your copy for only $795. Besides providing ample data, we wanted this survey to be extremely useful to HR professionals in the area of organizational development. That’s why we asked direct questions that really dig into gain insight that’s hard to find anywhere else. We confirmed what we already suspected — it’s a hot market for employees and confidence that they can replace their current income fairly easily is at an all-time high. That means we’re seeing higher projected labor budgets this year than we have in the past eight years. We learned that the average midpoint movement is 2.5% and the average projected labor budget is 3.25%. The average promotional increase for non-exempt is 7% and for exempt is 10%. Banks and credit unions are moving away from the guessing game. They’ve realized the efficacy of accurate salary ranges, which give them the confidence to know what starting pay should be when based on experience and where the maximum of the range is so they don’t erode their bottom line. All of this, and really a lot more, is available in one of the industry’s least expensive salary surveys in the nation. Download yours for only $795.